1 The Bank of France still exists but many functions have been taken over by the ECB. The Bank of France known in French as the Banque de France, headquartered in Paris, is the central bank of France. 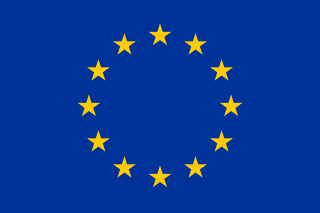 It is an independent institution, member of the Eurosystem since 1999. Its three main missions, as defined by its statuses, are to drive the French monetary strategy, ensure financial stability and provide services to households, small and medium businesses and the French state. It is a member of the European System of Central Banks, which consists of the European Central Bank (ECB), and the national central banks (NCBs) of all European Union (EU) members. The Kingdom of France's first experiment with a central bank was the Banque générale (Banque Générale Privée or "General Private Bank"), set up by John Law at the behest of the Duke of Orléans after the death of Louis XIV. It was meant to stimulate France's stagnant economy and pay down its staggering national debt acquired from Louis XIV's wars, including the War of the Spanish Succession. It was nationalized in December 1718 at Law's request and formally renamed the Banque royale a month later. It saw great initial success, increasing industry 60% in two years, but Law's mercantilist policies saw him seek to establish large monopolies, leading to the Mississippi Bubble. The collapse of the Mississippi Company and the Banque Royale tarnished the word banque ("bank") so much that France abandoned central banking for almost a century, possibly precipitating Louis XVI's economic crisis and the French Revolution. Later successors like la Caisse d'escompte (from 1776 to 1793) and la Caisse d'escompte du commerce (from 1797 to 1803) used the word "caisse" instead, until Napoleon retook the term with la Banque de France ("Bank of France") in 1800. In 1800, financial power in France was in the hands of about ten to fifteen banking houses[who?] whose founders, in most cases, came from Switzerland in the second half of the eighteenth century. These bankers were deeply involved in the agitations leading up to the French Revolution. When the revolutionary violence got out of hand, they orchestrated the rise of Napoleon, whom they regarded as the restorer of order. As a reward for their support, Napoleon, in 1800, gave the bankers a monopoly over French finance by giving them control of the new Bank of France (Banque de France). Banker Claude Périer drafted the first statutes and Emmanuel Crétet was the first governor. For the first fifteen years it was the sole issuer of bank notes in Paris, and this privilege was extended to other financially important cities and the rest of the country by 1848. The Bank was also instrumental in the creation of the Latin Monetary Union (LMU) in 1865. The countries of France, Belgium, Italy, and the Swiss Confederation established the LMU franc as a common bimetallic currency. In World War I, the Bank of France sold short-term Treasury bonds abroad to help pay for wartime expenditures. France abandoned the gold standard shortly after the outbreak of war. Debts amounted to approximately 42 billion francs by 1919. Following the war, the Bank sought to re-establish the gold standard and acquired capital from a number of American and British banking syndicates to defend the franc from exchange-rate fluctuations. The Bank also began to hoard gold reserves and, at its peak, held 28.3 percent of the world's gold stock (only behind the United States at 30.4 percent). Some scholars have asserted that this gold accumulation was a contributing factor to the Great Depression. Under Émile Moreau, Governor from 1926 to 1930, the Bank consolidated gold reserves created a stabilization insurance fund (fonds de stabilisation), and tested new monetary policies in the wake of a global depression. Jean-Claude Trichet, Governor from 1993 to 2003, was the final Governor of the Bank until the establishment of the European Central Bank (ECB) in June 1998. Today, the ECB sets monetary policy and oversees price stability for all countries in the Eurozone, including France. 14 April 1803, the new Bank received its first official charter granting it the exclusive right to issue paper money in Paris for fifteen years. 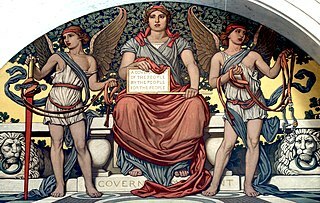 22 April 1806, a new law replaced the Central Committee with a Governor and two Deputy Governors. All three were appointed by the Emperor. Decree dated 16 January 1808 set out the "Basic Statutes", which were to govern the Bank's operations until 1936. Decree on 6 March 1808 authorized the Bank to purchase the former mansion of the Count of Toulouse in the rue de la Vrillière in Paris for its headquarters. 1993 A reform granted the Bank independence, in order to ensure price stability, regardless of domestic politics. This reform cleared the path for the European monetary union. 2015 François Villeroy de Galhau replaces Christian Noyer. The Bank distributes dividends to the French state of 4.5 billion euros in 2016 and 5.0 billion euros in 2017. The Bank of France is responsible for three missions : monetary strategy, financial steadiness and services to the economy. The Bank of France contributes to the design of the monetary policy of the euro zone (through macroeconomic research and forecast and by taking part in the deliberations on ECB decisions) and implements it in France. It is also the guardian of currency: it prints euro bank notes (it is the largest printer of euro notes) and manages the circulation of bank notes and coins. It also participates in the fight against counterfeit money, by training bank employees, merchants, police, etc. The Bank of France establishes France's balance of payments and manages part of the foreign exchange reserves of the ECB. The Bank of France is responsible for overseeing the French financial sector, through its subsidiary ACPR (Autorité de Contrôle Prudentiel et de Résolution). It assesses risks and weaknesses of the financial system (in 2018, the French financial sector is composed of 777 banks and 827 insurance and mutual insurance companies). It also monitors payment systems and means, and publishes the Financial Stability Review (Revue de la Stabilité Financière). The Bank of France provides services to households, businesses and the French state. The Bank of France is in charge of offering services households in severe financial difficulty. This includes the management of over-indebtedness (one of the major tasks of the local branches of the Bank), and the guarantee to an access to basic banking services for everyone, such as the right to a basic bank account. It is also in charge of financial and economic education of the general public, by developing an economic culture among specific populations (like youngsters and households in severe financial difficulty). This includes sensitizing high school students, providing online information and educational services, training social workers and the future launch of the French Cité de l'économie et de la monnaie (Citéco), a museum based in the 17th district of Paris, to be opened in 2019. The Bank of France provides company ratings for non-listed companies, which can for instance be used by business leaders to obtain credit from their bank. It also manages credit mediation (mediation between companies and their banks, their credit insurers, etc.) and proposes support to very small businesses (advice for their development and needs). The Bank of France publishes a number of economic surveys, national and regional statistics, destined to businesses. The Bank of France is in charge of services for the French State: it holds the account and manages the means of payment of the Treasury and some public companies. It manages auctions of public securities. Finally, it establishes the balance of payments. ATM of the Bank of France in Paris. On 1 June 1998, a new institution was created, the European Central Bank (ECB), charged with steering the single monetary policy for the euro. The body formed by the ECB, and the national central banks (NCB) of all the member states of the European Union, constitute the European System of Central Banks (ESCB). Following the financial crisis of 2007-2008, the Bank of France implemented quantitative easing for the account of the ECB. The governor of the Bank of France has been François Villeroy de Galhau, since 1 November 2015. He presides over the Bank’s General Council, the body responsible for deliberating on all matters relating to non-Eurosystem activities. The first deputy governor is Denis Beau and the second deputy governor is Sylvie Goulard. In 2010, the French government's Autorité de la concurrence (the department in charge of regulating competition) fined eleven banks, including Bank of France, the sum of €384,900,000 for colluding to charge unjustified fees on check processing, especially for extra fees charged during the transition from paper check transfer to "Exchanges Check-Image" electronic transfer. ^ a b Quigley, Carroll (1966). Tragedy And Hope. New York: Macmillan. p. 515. ISBN 0-945001-10-X. ^ Irwin, Douglas A. "The French Gold Sink and the Great Deflation of 1929–32" (PDF). Dartmouth College. ^ Metzler, Mark. Lever of Empire: The International Gold Standard and the Crisis of Liberalism in Prewar Japan. Berkeley, CA: University of California Press. ^ Yee, Robert. "The Bank of France and the Gold Dependency: Observations on the Bank's Weekly Balance Sheets and Reserves, 1898-1940" (PDF). Johns Hopkins University. Studies in Applied Economics. Bouvier, Jean. "The Banque de France and the State from 1850 to the Present Day." in Fausto Vicarelli, et al. eds., Central banks' independence in historical perspective (Walter de Gruyter, 1988) pp 73–104. (in French) Beginnings of Banque de France The directors of Bank of France between 1800 and 1815. The CFA franc is the name of two currencies, the West African CFA franc, used in eight West African countries, and the Central African CFA franc, used in six Central African countries. Both currencies are guaranteed by the French treasury. Although separate, the two CFA franc currencies have always been at parity and are effectively interchangeable. The ISO currency codes are XAF for the Central African CFA franc and XOF for the West African CFA franc. A central bank, reserve bank, or monetary authority is the institution that manages the currency, money supply, and interest rates of a state or formal monetary union, and oversees their commercial banking system. In contrast to a commercial bank, a central bank possesses a monopoly on increasing the monetary base in the state, and also generally controls the printing/coining of the national currency, which serves as the state's legal tender. A central bank also acts as a lender of last resort to the banking sector during times of financial crisis. Most central banks also have supervisory and regulatory powers to ensure the solvency of member institutions, to prevent bank runs, and to discourage reckless or fraudulent behavior by member banks. The euro is the official currency of 19 of the 28 member states of the European Union. This group of states is known as the eurozone or euro area, and counts about 343 million citizens as of 2019. The euro is the second largest and second most traded currency in the foreign exchange market after the United States dollar. The euro is divided into 100 cents. The European System of Central Banks (ESCB) consists of the European Central Bank (ECB) and the national central banks (NCBs) of all 28 member states of the European Union (EU). The Bank of Spain, is the central bank of Spain. Established in Madrid in 1782 by Charles III, today the bank is a member of the European System of Central Banks and is also Spain's national competent authority for banking supervision within the Single Supervisory Mechanism. Its activity is regulated by the Bank of Spain Autonomy Act. The Bank Al-Maghrib is the central bank of the Kingdom of Morocco. It was founded in 1959 as the successor to the "Banque d'Etat du Maroc". In 2008 Bank Al-Maghrib held reserves of foreign currency with an estimated worth of US$36 billion. In addition to currency management, the Bank Al-Maghrib also supervises a number of private banks supplying commercial banking services. The bank has a branch in Casablanca, and agencies in 18 other cities in Morocco. The current governor is Abdellatif Jovahri. The Eurosystem is the monetary authority of the eurozone, the collective of European Union member states that have adopted the euro as their sole official currency. The ECB has, under Article 16 of its Statute, the exclusive right to authorise the issuance of euro banknotes. Member states can issue euro coins, but the amount must be authorised by the ECB beforehand. 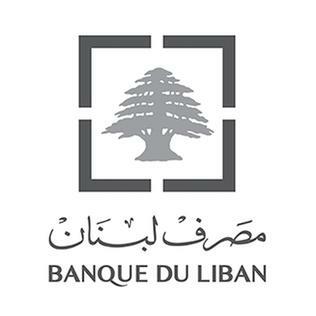 Bank of Lebanon officially Banque du Liban is the central bank of Lebanon. It was established on August 1, 1963 and became fully operational on April 1, 1964. It is currently headed by Riad Salameh, who was named the Middle East's best central bank governor by Euromoney in 2005. Groupe BPCE is a French banking group, formed by the 2009 merger of CNCE and BFBP, has more than 8,200 branches nationwide under their respective brand names serving nearly 40 million customers. Through its subsidiaries, it provides banking, financial, and real estate financing services to individuals, professionals, small and medium enterprises, large enterprises, and institutions in France and internationally. Émile Moreau was Governor of the Banque de France from 1926 to 1930 and chairman of Paribas from 1931 to 1940. After retiring from his role as governor he took a job in a private bank. His contribution to the Poincare Stabilization helped the French Franc to gain credibility in the 1920s following the Russian Default post the Bolshevik Revolution. As pointed out in his memoirs, Emile Moreau took active measures to increase French influence in Eastern Europe. It was under his governorship that French Money Doctors were sent to Romania as advisors. François Villeroy de Galhau is a French central banker, Governor of the Bank of France since 1 November 2015.